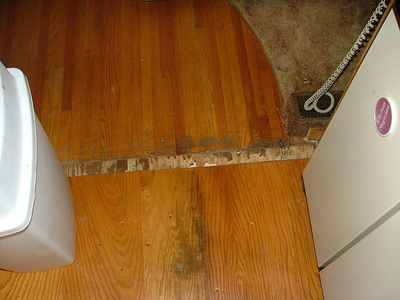 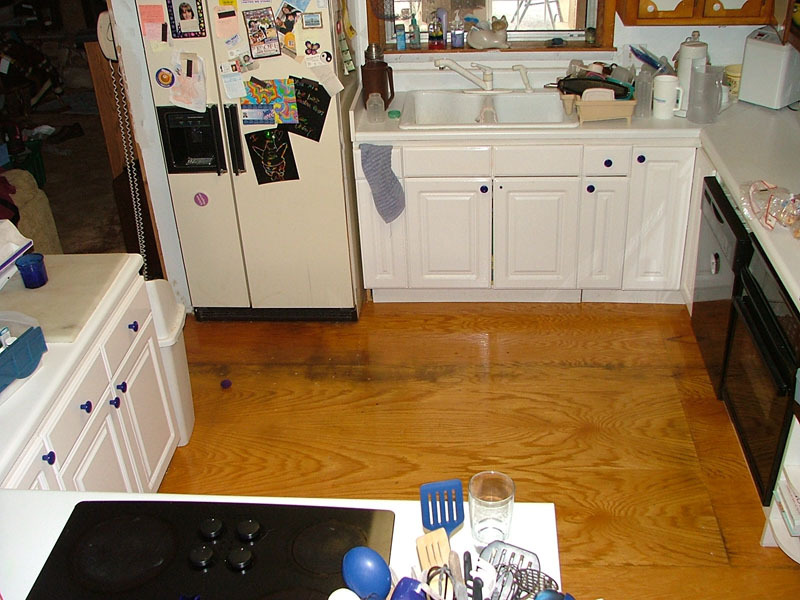 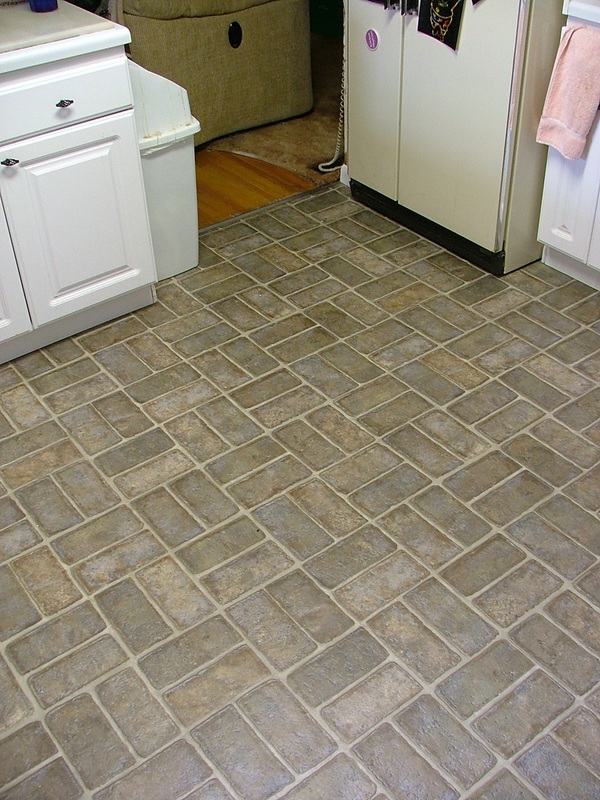 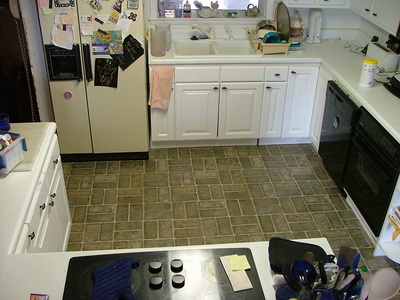 The original kitchen floor was merely plywood with a polyurethane coating. 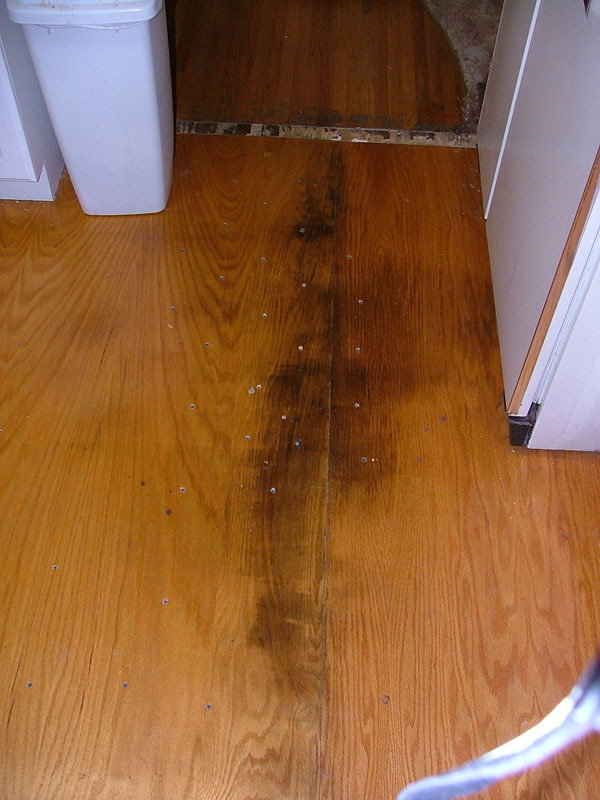 As the coating wore away, dirt collected in the wood-grain. 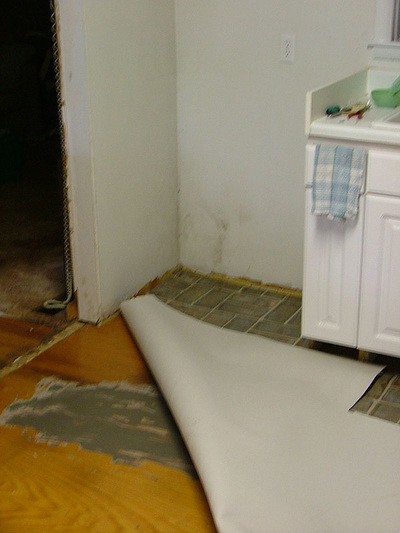 Edges at either end of the kitchen were filled with plywood and needed covering. 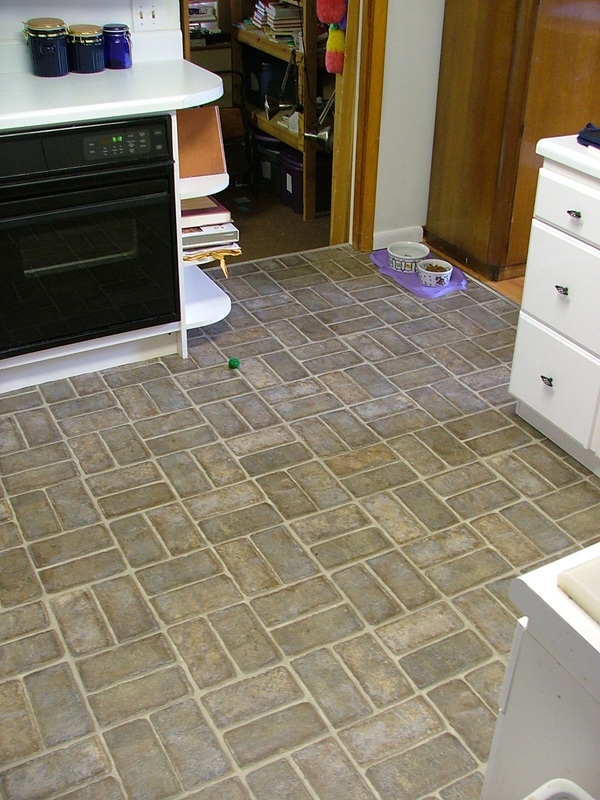 The floor has been prepared and scewed down to prepare it for the vinyl. 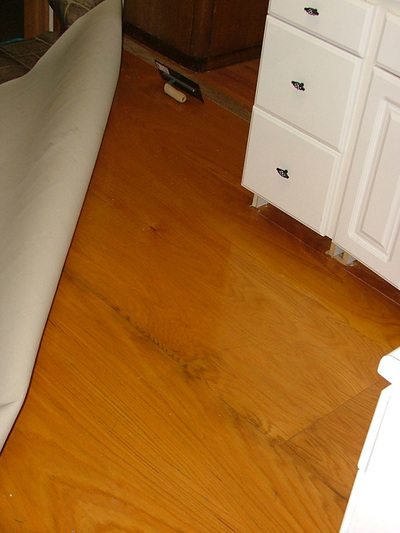 The rolled vinyl has been cut to match. 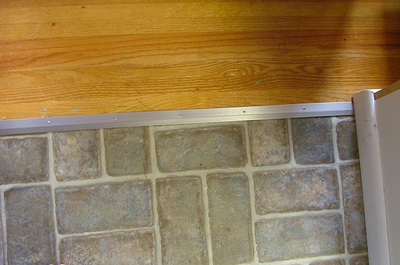 The floor is coated one side at a time to carefully cover the entire floor. The kitchen is shown here complete. 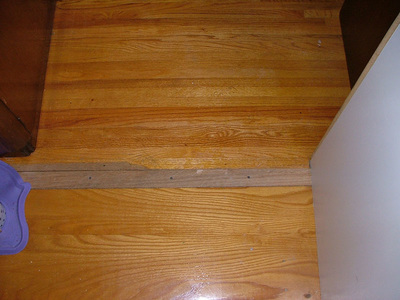 The edges of the vinyl are sealed with low thresholds. Here you can see the flooring from one end to the other and a reverse shot end to end.